The CatEye Stealth is a great gadget for recording your rides without the larger price tag of models from the competition. 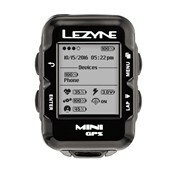 You can track basic cycling data to target and reach training goals, or simply keep a log of all your riding efforts. 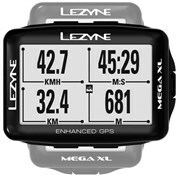 The Stealth records your current, maximum and average speeds, elapsed time, altitude and has an odometer and a clock. You can then upload your data via the docking station to CATEYE Atlas to review, analyse and share via Facebook or Strava. The full-time backlight will come in handy for rides in the dark. There's a handy auto-stop/start function and the power button at the back prevents any accidental turning on or off. 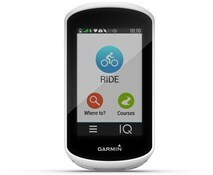 It's also waterproof, USB rechargeable and can be used on multiple bikes. The battery life is an ample 10 hours and the Stealth can store up to 60 hours of data. 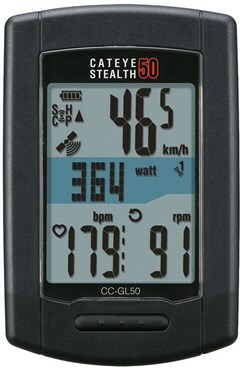 The Stealth 50 is ANT+ compatible so it works with third party power, heart rate and cadence sensors.